The likely release of the House Committee on Intelligence memo, as prepared by the Republican majority on the committee is absolutely wrong. What is astoundingly wrong, is that neither the Justice Department nor the FBI were given adequate time to review the memo, prior to a vote of the committee to make it public. The Deputy Attorney General met with White House officials to explain why release of the memo would be “extremely reckless” according to the New York Times. The Department of Justice can not respond openly as the Russian investigation is proceeding. Everyone who works in law enforcement know the importance of keeping information secret. 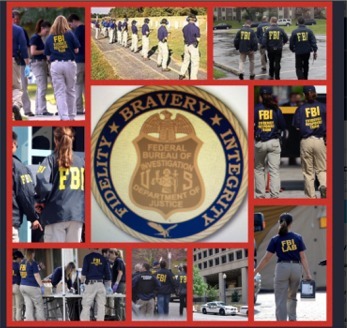 Until actual criminal charges are presented in court, those individuals, be they Americans or foreign nationals, do not have the right to know what the bits and pieces of the FBI or Department of Justice’s “raw intelligence.” The House Committee is undercutting the FBI and Department of Justice abilities to do their job – which is to catch individuals involved in criminal acts and present the case in court. @realDonaldTrump (March 4, 2017). “Terrible! Just found out that Obama had my “wires tapped” in Trump Tower just before the victory. Nothing fois a und. This is McCarthyism!” (Tweet). Retrieved March 21, 2017 – via Twitter. @realDonaldTrump (March 4, 2017). “Is it legal for a sitting President to be “wire tapping” a race for president prior to an election? Turned down by court earlier. A NEW LOW!” (Tweet). Retrieved March 21, 2017 – via Twitter. @realDonaldTrump (March 4, 2017). “I’d bet a good lawyer could make a great case out of the fact that President Obama was tapping my phones in October, just prior to Election!” (Tweet). Retrieved March 21, 2017 – via Twitter. @realDonaldTrump (March 4, 2017). “How low has President Obama gone to tapp my phones during the very sacred election process. This is Nixon/Watergate. Bad (or sick) guy!”” (Tweet). Retrieved March 21, 2017 – via Twitter. Since this came from the White House, the FBI investigated the alleged wiretapping as claimed by Donald Trump and found zero evidence to support his accusations as per Wikipedia. Representative Devin Nunes, who chairs the House Intelligence Committee, vowed to investigate the [wiretap] claim, later stating that the committee had found no evidence for Trump’s statement. At a House Intelligence Committee open hearing on March 20, 2017, Federal Bureau of Investigation (FBI) Director James Comey stated that neither the FBI nor the Department of Justice (DOJ) possessed any information to support Donald Trump’s wiretapping allegations. Nunes stated on March 23 that the Trump administration’s communications might have been legally monitored during the transition period as part of an “incidental collection”. In a September 1, 2017 court filing, the DOJ declared that “both the FBI and NSD confirm that they have no records related to wiretaps as described by the March 4, 2017 tweets.” Later in the same month, CNN reported that the FBI wiretapped Paul Manafort in 2016–17, either during or after his tenure with the Trump campaign. Some commentators cited this report as vindication for Trump’s claims, while others noted that it did not confirm the accuracy of Trump’s original tweets, and that it is still unknown whether any surveillance of Manafort took place at Trump Tower. House Representative Devin Nunes heads the House Intelligence Committee, investigating the Russian interference with the 2016 election. While the memo itself is very brief, documents that it relied on, particularly the application of a search warrant to the FISA for Carter Page were long (some applications go over 100 pages) and are based on many other classified documents. The appropriate course of action would be not to release either the Republican or Democrat memos to the public. If there were allegations of misconduct within the Department of Justice, this would be handled best by submitting these allegations to the White House and the Attorney General Jeff Sessions. This is a mishandling of classified materials on US intelligence by an obviously partisan legislative group, and is shameful. A Google search on the Nunes memo. I like this one because it is simply stating the facts. Adam Schiff said yesterday that the memo sent to the President had been changed after it was voted on in committee. Wow.